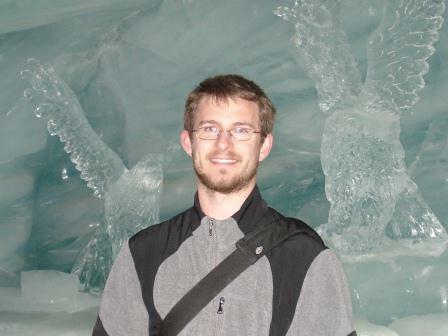 Dr. Glenn Wolfe has been a post-doctoral research associate at NASA/GSFC and UMBC/JCET since October 2012, where he studies the chemistry of the lower atmosphere using a combination of airborne field observations and detailed numerical modeling. Current projects include 1) in situ observations of formaldehyde, an important oxidation tracer, throughout the troposphere, and 2) investigation of biosphere-atmosphere interactions and their impact on pollutant precursors using a 1-D resolved forest canopy model. Prior to arriving at NASA, Glenn was a NOAA Climate and Global Change Post-doctoral fellow at University of Wisconsin, Madison, WI. He holds a B.A. in Chemistry from Johns Hopkins University and a Ph.D. in Chemistry from University of Washington. As of 2013, he has co-authored 24 peer-reviewed publications and participated in 6 collaborative field campaigns. Mao, J., X. Ren, W. H. Brune, D. M. Van Duin, R. C. Cohen, J.-H. Park, A. H. Goldstein, F. Paulot, M. R. Beaver, J. D. Crounse, P. O. Wennberg, J. P. DiGangi, S. B. Henry, F. N. Keutsch, C. Park, G. W. Schade, G. M. Wolfe, and J. A. Thornton, Insights into hydroxyl measurements and atmospheric oxidation in a California forest, Atmospheric Chemistry and Physics, 12, 8009-8020, 2012. Kim, S., G. M. Wolfe, L. Mauldin, C. Cantrell, A. Guenther, T. Karl, A. Turnipseed, J. Greenberg, S. R. Hall, K. Ulmann, E. Apel, R. Hornbrook, Y. Kajii, Y. Nakashima, F. N. Keutsch, J. P. Digangi, S. B. Henry, L. Kaser, R. Schnitzhofer, M. Graus, and A. Hansel, Evaluation of HOx sources and cycling using measurement-constrained model calculations in a 2-methyl-3-butene-2-ol (MBO) and monoterpene (MT) dominated ecosystem, Atmospheric Chemistry and Physics Discussions, 12, 15945-15975, 2012. Wolfe, G. M., J. D. Crounse, J. D. Parrish, J. M. St. Clair, M. R. Beaver, F. Paulot, T. P. Yoon, P. O. Wennberg, and F. N. Keutsch, Photolysis, OH reactivity and ozone reactivity of a proxy for isoprene-derived hydroperoxyenals (HPALDs), Physical Chemistry Chemical Physics, 14, 7276-7286, 2012.